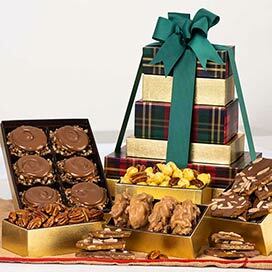 Our wonderful selection of Gift Towers offer a huge selection of our best selling candy, including our Original Pecan Pralines, Pecan Divinity Candy, and Pecan Gopher Turtles. 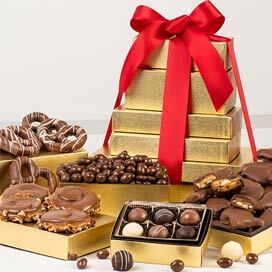 Every tower offers a unique variety of your favorite candy gifts. 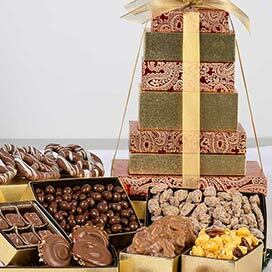 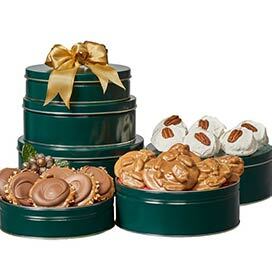 Our best selling towers are the 5 Story Chocolate Lover's Gift Tower and the Best Sellers Gift Tower. 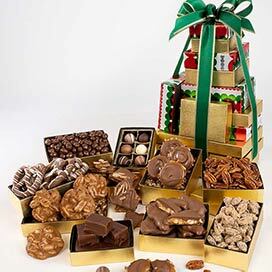 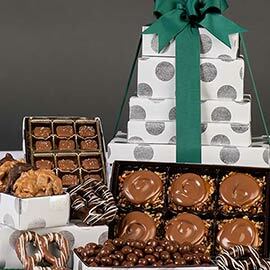 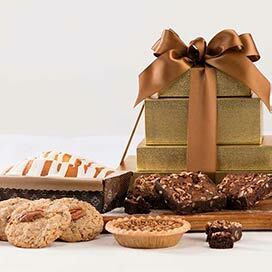 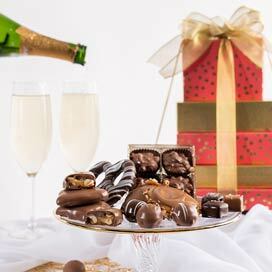 Send a gift from our local Savannah's Candy Kitchen to everyone on your list and put a smile on their faces.